That was the question often asked of Sister Helen Prejean, C.S.J., during her early years ministering to death row inmates in New Orleans. Sister Prejean is the author of Dead Man Walking, a best-selling memoir which was adapted into a 1995 film. 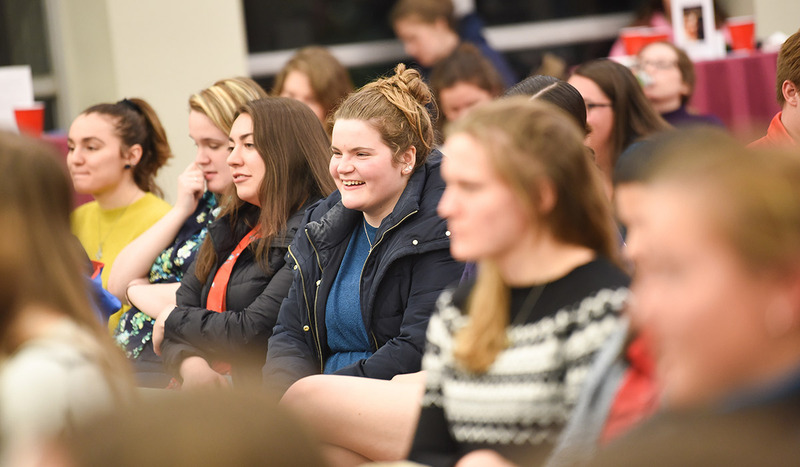 In March, she shared stories of her time working with death row inmates during a CUA on Tap event sponsored by the Office of Campus Ministry. 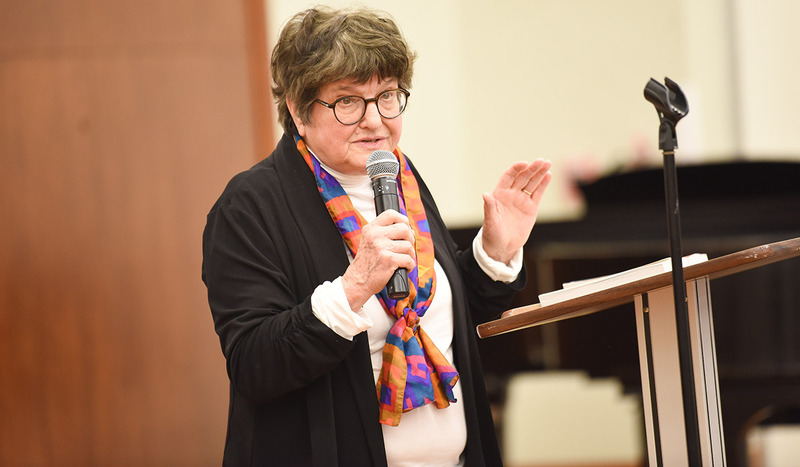 During her talk, Sister Prejean explained how she went from being a “fun nun” who worked mainly as an elementary school teacher to an anti-death penalty activist. The transformation began when she formed a spiritual friendship with Patrick Sonnier, a convicted murderer who had been sentenced to death. Sister Prejean became Sonnier’s spiritual advisor in 1982, developing a deep friendship before eventually accompanying him to his execution in 1984. As she walked Sonnier to the room where he would die, Sister Prejean remembers telling him to keep his eyes on her so she could “be the face of Christ” for him in his final moments. After Sonnier’s execution, Sister Prejean was troubled by how hidden the process was — like “a secret ritual by design, with very few witnesses.” From then on, she felt called to share her experience with as many people as she could. Since that experience, she has continued to work closely with the imprisoned and has accompanied five more men to their deaths. She has also become a well-known public speaker against the death penalty and was even able to share her message directly with Pope John Paul II. “I asked him, ‘Is dignity only for innocent life? How can our Church strengthen the case against the death penalty?’” she said. In her talk to students, Sister Prejean compared the death penalty to torture and said that it is a crime against human dignity. Though she continues to work with death row inmates, she is encouraged by the many states who have outlawed the death penalty or taken measures against it. Sister Prejean also encouraged young people to get involved in the cause, by writing to prisoners or working to welcome them back into society after being imprisoned. Gabrielle Smyth, a senior philosophy and pre-law major, helped organize the night’s talk with Sister Prejean. She hoped the evening would spark more conversation about Catholic teachings against the death penalty. — Katie Bahr, Assistant Director of Communications and Media Relations. Bahr can be reached at bahr@cua.edu.